again, first of all my sincere apologies of not being able to write in Italian, but I hope someone of you is so kind to translate. in the region of "Bergisches Land" around Wermelskirchen (Nordreno-Vestfalia). You all are very welcome to join in and we are very much looking forward to meet Copens from Italy again. Link to course of events at forum.micro-roadster.de (cklick me). The above rates also apply if you would like to extend your stay on Thursday before or until Monday after. If you would like to take part or would just like to know some more details please reply to this thread or send a PM to Scooty. As soon as more information is available I will update this article accordingly. Ultima modifica di Scooty il 16 aprile 2013, 19:48, modificato 2 volte in totale. just a little reminder, currently already 55 (!) Copens from 5 countries (but unfortunately none yet from Italy ) registered. I know it is a bit longer drive than last year but really will be happy if you can make it. the course of events and the tour desscriptions for Saturday are now published. I added the link to the initial post (click me). Currently 83 Copens from 5 countries are registered. According to the hotel now only 2 single rooms are still available. il corso degli eventi e il tour desscriptions per Sabato sono ora pubblicati. Ho aggiunto il link al post iniziale (click me). Attualmente 83 Copens di 5 paesi sono registrati. Secondo l'hotel ora solo 2 camere singole sono ancora disponibili. Photo (c) by "Der Solinger@micro-roadster.de"
It was a very nice weekend with lots of Copens, weather a bit mixed, but most of the time we were able to drive the routes on Saturday with open roof. The routes were very nice and I met a lot new but also known Copenists. All together there were 80 Copens attending during the weekend, some of them just for a day, the picture above only shows the ones attending on Sunday morning. In this thread at forum.micro-roadster.de (click me) you find some more pictures (you have to register to see all the pictures) and links to some online galleries. 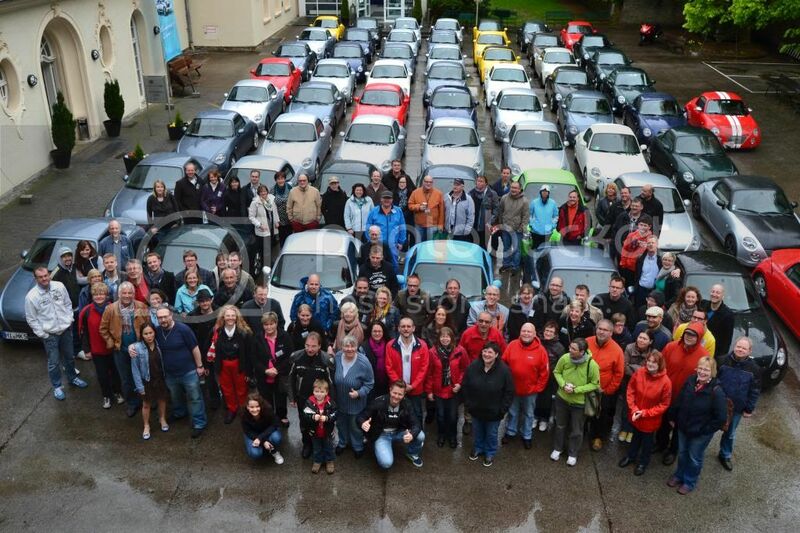 PS: Next years Copen Meeting will take place in June 2014 in the south-east region of Germany called Oberfranken (click me). 57 Copen!! That's a dream! Good job!